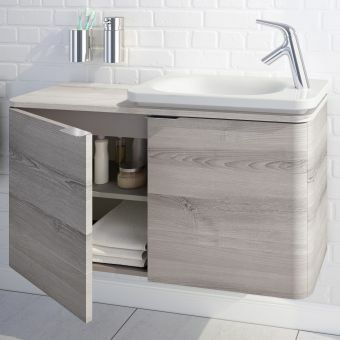 Comprising of matching basin and vanity unit, this wall-hung set provides the ideal space for a bit of you time in the bathroom, larger en-suite or even in the guestroom. 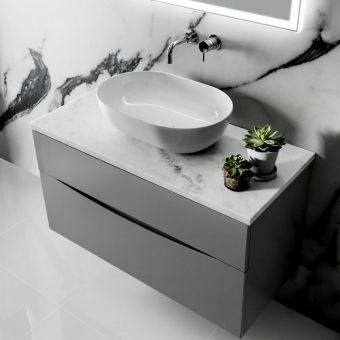 Featuring highly fashionable finishes in a contemporary design, this continental piece from leading designers Roca is an easy winner. 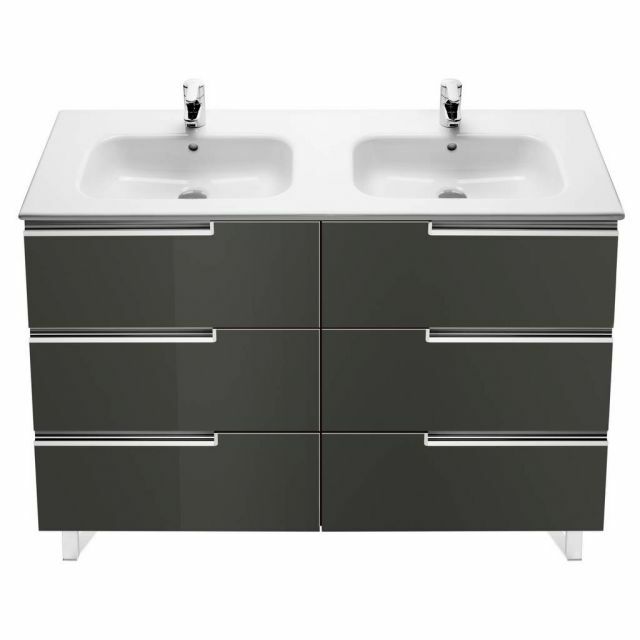 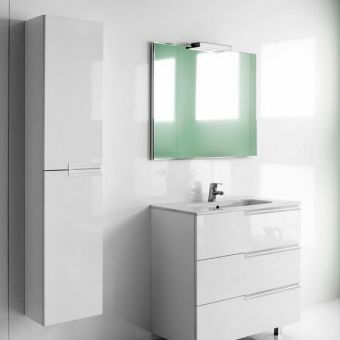 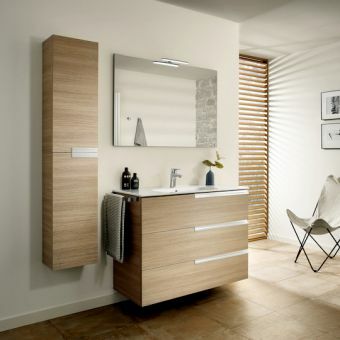 With four different colour schemes, including cool Anthracite Grey, minimalist Gloss White, or the earthier tones of Wenge and Oak, this vanity unit can be adapted to fit your particular tastes and interior designs. 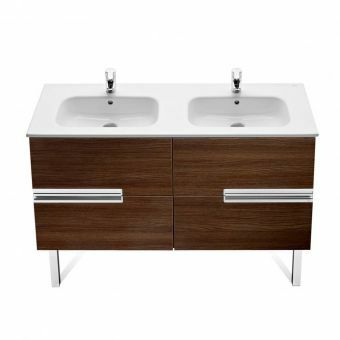 With a matching double bowl basin, this unit makes a great piece for the couple who like to take care of themselves. 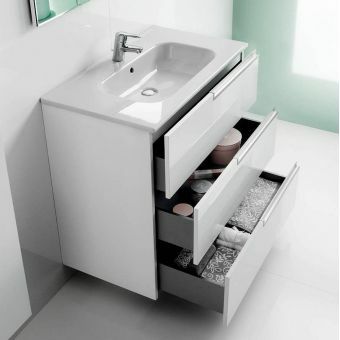 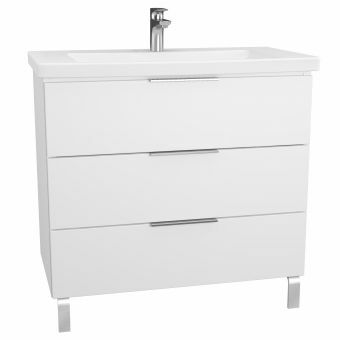 Three drawers per side, each with a stylish recessed handle, smoothly pull out to reveal ample storage for towels, clothes or personal products. 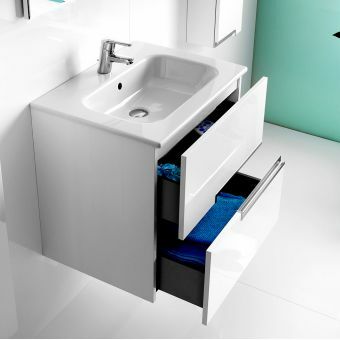 To complete the look, decorative feet can be added to this wall-mounted unit. 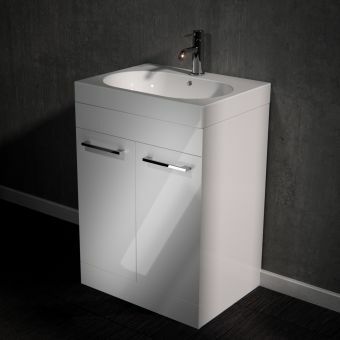 Basin supplied with one tap-hole per side.